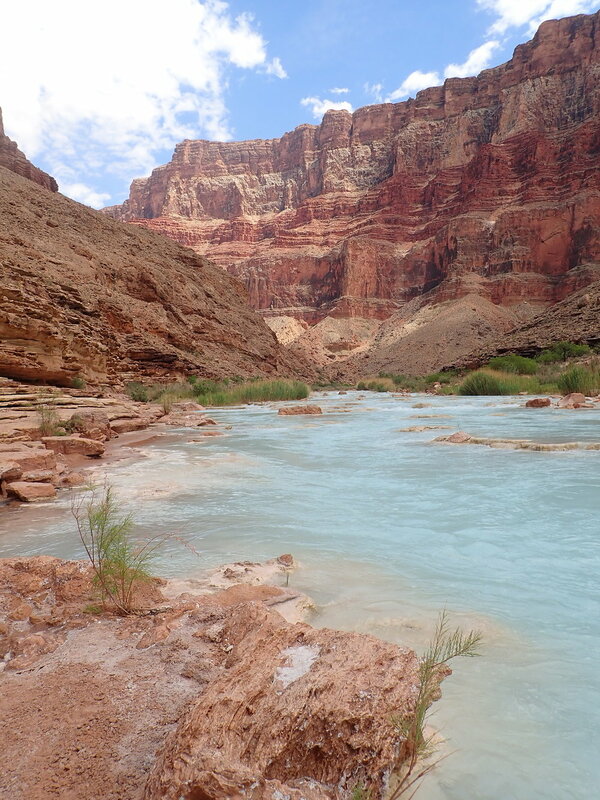 Most river rafting trips down the Colorado include side trips to hike to waterfalls or unique views or Anasazi Indian ruins. Because we were painters, we wanted as much time at each camp location to paint which meant that in large part we would forego side trips and save our time for painting. Thankfully, we weren't 'all work!' 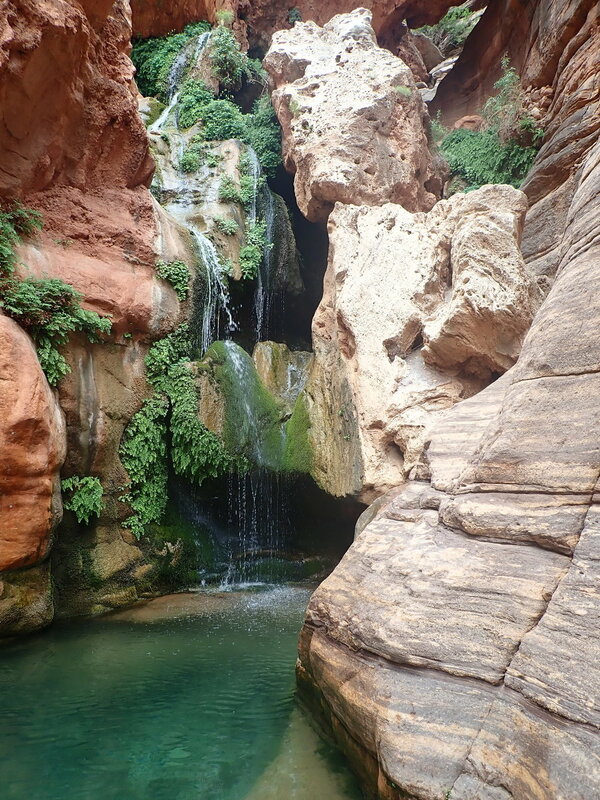 and were able to experience some of the side treasures in the canyon. These were some of my trip highlights! Actually just a lunch spot... but not just any-old-lunchspot! This was a great spot to appreciate the size of the canyon. Can you see the boats on the beach? 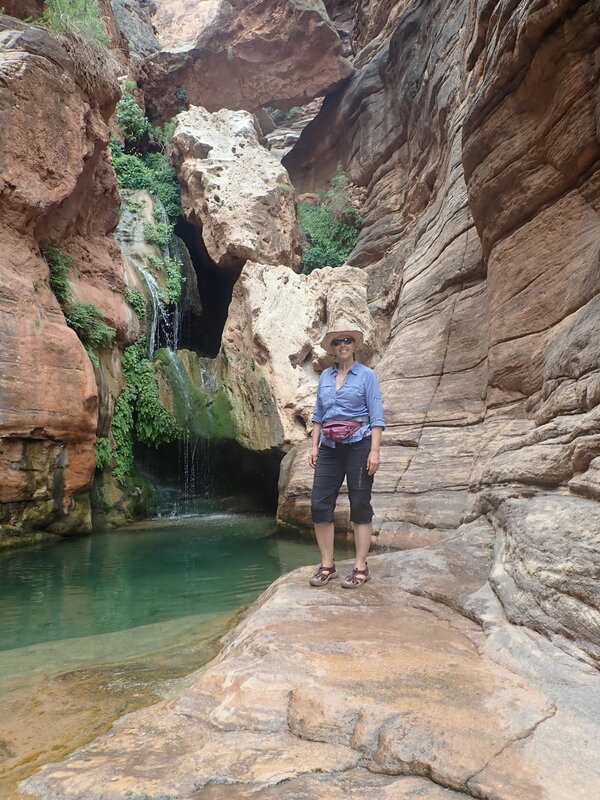 We ate lunch at this spectacular canyon and had a bit of time to explore and soak-up the immense space that the river waters carved out in the wall of the canyon. So unique! The Little Colorado. 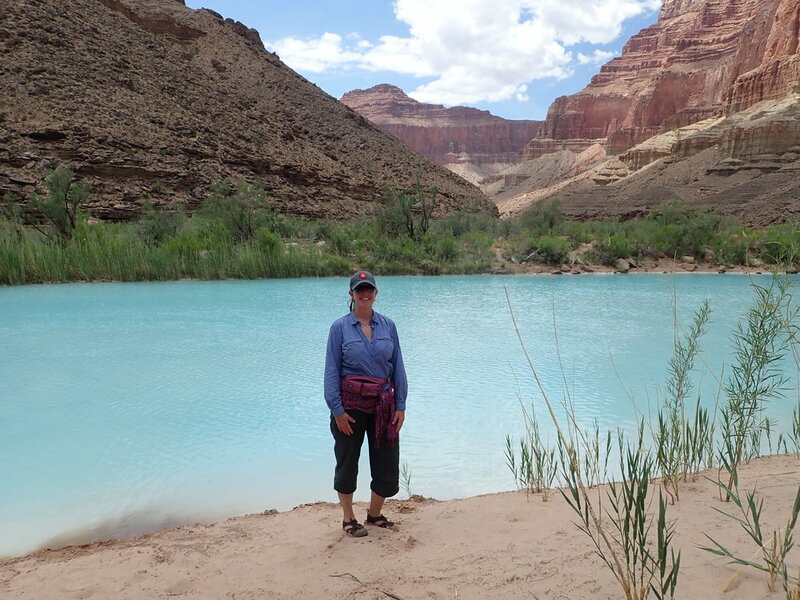 This river confluence, where the Little Colorado meets the Colorado, provided us with a small hike up river to play in some rapids and gawk at the gorgeous pale blue water. The contrast between the orange cliffs and this pale water was spectacular. Yes, I sported a waterproof fanny pack and a sarong most of the trip. 'Flour water' is the minute particles of dissolved travertine and limestone in the water. 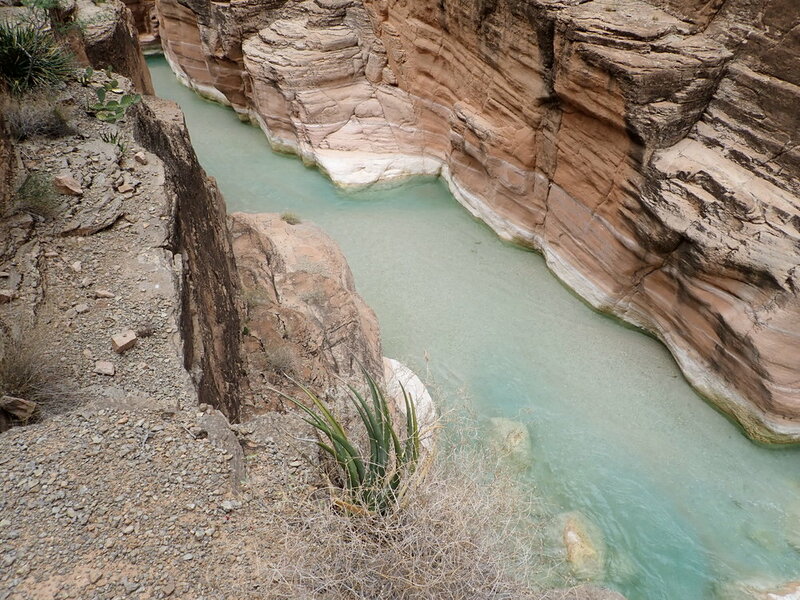 I LOVE the contrast of the pale water and orange canyon! After a short scramble we were rewarded with this jewel! I was SO TEMPTED to climb up into the Chasm to jump... 2 people did - but the water was so cold you thought your heart would stop. Just a short walk, some traversing through tadpole water, over narrow rock bridges and under some brush... you come to THIS sight! Backing up as close as I could! Havasu Falls is famous for its vivid blue-green water. You also need a permit to visit them. 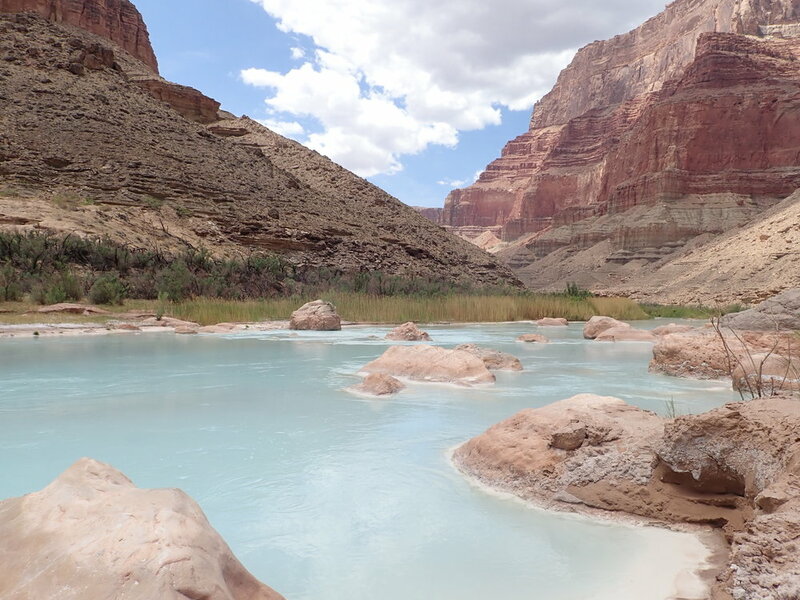 We were able to hike the Havasu Creek up to a series of plunge pools, spillways and giant boulders. 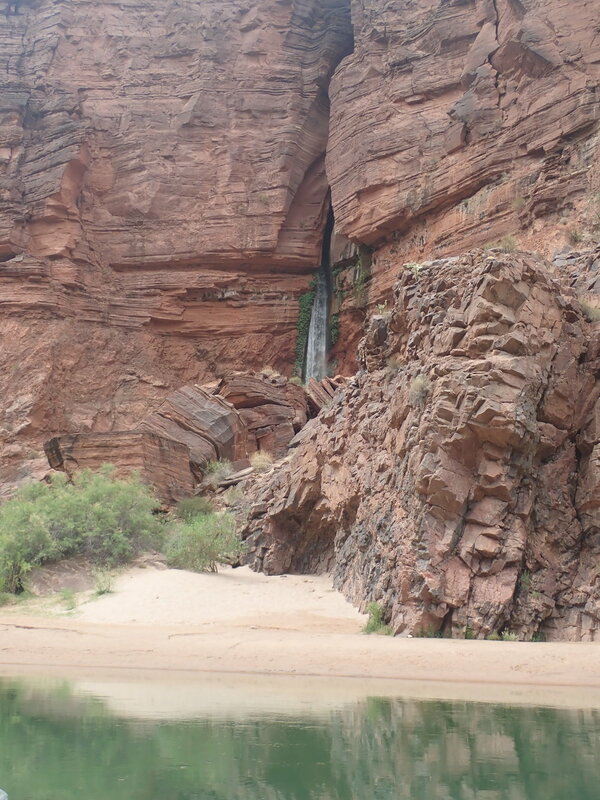 The hike was on a very narrow and precarious pathway from the Colorado River. It was so nice to be off the boat, stretch the legs, stand in cool water (not so cold it hurt!) and enjoy this very special area. That's a long way down, beautiful though!